Nearly twenty years into South Africa’s democracy, our justice system has outgrown its international peers. We should not be judged more harshly because of our skin colour. We should not be paid any less because of our gender, and we shouldn’t be treated with violence just because we are different. Inherently, humans have a desire for equality and fairness. Thus, when any crime or abuse is committed, justice is sought—both for the offender and the victim. The assurance of justice is usually a prerequisite for a thriving public society, and for establishing and maintaining a stable political order. For South Africa’s leaders to have legitimacy among constituents, satisfactory ways must be found to ensure laws are just, and administered honourably throughout the entire country. 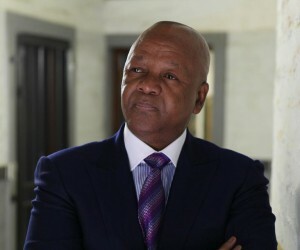 South Africa’s Minister of Justice and Constitutional Development, Jeffrey Radebe, says he strives to do better and improve the lives of South Africans by making sure wherever he is deployed, he puts shoulder to the wheel to bring nearer the day when we “can say our people have a better life”. Along with Trevor Manuel, Radebe is one of South Africa’s longest serving members of Parliament since the 1994 democratic elections. He served as Minister of Public Works from 1994 to 1999 under former president Nelson Mandela, and under the leadership of Thabo Mbeki as Minister of Public Enterprises, Minister of Transport, and as well as acting Health Minister. In public enterprises, he turned Eskom from a state department into a company involved in multi-billion rand projects. “The same thing happened with Transnet and South African Airways,” he says. Jeffrey Thamsanqa Radebe was born on 18 February in 1953 in a township called KwaMashu in Natal. As a high school science student in Durban, he actually wanted to become a medical doctor. In his last year of Matric his mathematics teacher fell pregnant and the school had no one else to teach them. “Students from the University of Natal Medical School came to our school over weekends to teach us mathematics. During this time, they also introduced us to the Black Consciousness Movement with the late Steve Biko. And that’s how my whole life changed,” Radebe told us. As a result he decided to study law instead of medicine in order to participate in the freedom struggle of South Africa. He became a student activist and joined the underground structures of the African National Congress (ANC) during the student uprisings in 1976. “At the time we were fighting for freedom, contributing towards building a South Africa with a non-racial, non-sexist, equal and prosperous democratic society founded on human rights. Now our focus is on enhancing the quality of that life,” he smiles. In 1976 he obtained a B. Juris degree from the University of Zululand and completed his legal articles in Durban. In 1977 he left the country for Mozambique on instruction from the ANC. He worked as a radio journalist with Radio Freedom in Dar es Salaam, Tanzania, for two years and then worked for the ANC’s International Department in Zambia. He created underground ANC and South African Communist Party (SACP) structures inside South Africa from Lesotho, giving political direction to activists. During this period he obtained an LLM in International Law from Leipzig University in 1981 and studied at the Lenin International School in Moscow in 1985. He underwent military training with Umkhonto we Sizwe (MK), and was arrested and convicted under the Terrorism Act. 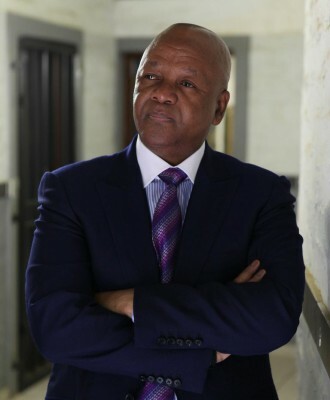 Radebe later appealed and was released from Robben Island after organising a successful 12-day hunger strike to speed up the release of political prisoners in 1990. By the time he left Robben Island, Radebe was head of the ANC’s political department. Radebe served as a project co-ordinator for the National Association of Democratic Lawyers (Nadel) between 1990 and 1991, and was eventually elected Deputy Chairperson of the ANC, Southern Natal Region in 1990. He served as Secretary of the SACP’s interim Leadership Core between 1990 and 1991, then became the Chairperson of ANC’s Southern Natal Region from 1991 to 1994. Radebe also served on the Natal Regional Dispute Resolution Committee. During the same period, he served as Chairperson of the Regional ANC Peace Forum. He became a member of the Ex Political Prisoners Committee in 1995. Our current Minister of Justice received an Honorary Doctorate in Humane Letters from Chicago State University in 1996. He became a member of the Business Trust from 1998 to 2003 and was Chairperson of the Nelson Mandela 80th Birthday Committee in 1998. He was a Deputy Chairperson of the ANC in the Northern Cape, and later acting Provincial Chairperson in 2004. He was also a Board member of the Local Organising Committee of the 2010 FIFA Soccer World Cup. “What many people also don’t know is that I am an Honorary Colonel in the SA Air Force, Mobile Deployment Wing in Pretoria,” smiles the Minister. When Radebe was Minister of Transport in 2004, “The annual budget of the department was R4 billion. When I left in 2009, it was R25 billion,” he proudly says. The Department was involved with the building of the new King Shaka International Airport in Durban, the revamping of Johannesburg OR Tambo Airport and Cape Town International Airport. Minister Radebe was also actively involved in the Arrive Alive campaign. Since May 2009, as Minister of Justice and Constitutional Development, Radebe has been instrumental in the further transformation and restructuring of the judiciary and justice system as mandated by the Constitution, the supreme law of the land. Of the 1 294 Acts passed by Parliament since the beginning of democracy, 148 are attributed to the justice sector. “All of which are aimed at ensuring that all South Africans have access to justice. This is the most important thing we can do as a Department,” Radebe emphasises. These Acts are instrumental in among others, building and strengthening state institutions that support constitutional democracy and fighting crime and corruption. There’s still an acute under-representation of women on the bench, only 76 of the 239 judges are women. There are many challenges still to bridge, but with the collective leadership style of the Minister together with appropriate delegation, the justice system can only move forward. Minister Radebe is decisive and determined with a focused will and vision, not only in his department but also for South Africa’s future in general. When President Jacob Zuma attended the G20 forum in Russia last month, he appointed Minister Radebe as acting President for five days. Unfortunately during this time, one of this year’s biggest road accidents occurred in Pinetown when a truck driven by a 23-year old, killed 23 innocent people. This unfortunate accident was the third collision claiming many lives in only a few days, following the death of nine people returning from the annual reed dance ceremony in KwaZulu-Natal, and the tragic death of seven people on the N2 between Grahamstown and Port Elizabeth in the Eastern Cape. The next South African general election will be held between April and July next year. It will be the fifth election held since apartheid, marking the 20th anniversary of South Africa’s democratic transition from apartheid. At least 23-million eligible voters will have to choose which leaders they will entrust with their vote. In an interview with former president Thabo Mbeki in March this year, the Sunday Times asked him what he thought the qualities were of good leadership. He responded that one has to have a very good understanding of one’s country and its challenges, and to work on a clear programme to address these challenges. He also said it is important to conduct oneself within a value system of which at its core, the obligation should always be to serve the people. South Africa needs more mentors from existing businesses to develop entrepreneurial skills. Women’s issues are close to Minister Radebe’s heart, so naturally, when the State Forestry company Safcor was restructuring with the view to privatise and he received a letter from a group of women outside Port Elizabeth who were involved in a flower project, he listened. The women were concerned about how they would feed their families should Safcor restructure, and he asked them to come up with a solution. But the Minister says his most colourful feat is the Leucospermum flower, a hybrid of the Protea, which was named after him in 2005. It is called the Radebe Sunrise. A cherished flower of another kind is his wife, Bridgette Radebe, South Africa’s first black female mining entrepreneur and sister of the billionaire mining magnate, Patrice Motsepe. This busy schedule sees him holding a number of important portfolios: Radebe is member of the ANC’s National Executive Committee (NEC), and the National Working Committee (NWC) — since 1991. He is also member of the SACP Central Committee, ANC Head of Policy, and member of the Natal Regional Dispute Resolution Committee. He is also Chair of the ANC’s National Disciplinary Committee, and Chairperson of the Protocol Committee of the ANC in Parliament. “In future the Justice Department will commence in earnest with assessments on what kind of socio-economic impacts the decisions made by the Constitutional Court and Supreme Court of Appeal have on society,” the honourable Justice concludes.